What is in store for the dreamers of the zodiac in 2017? Pisceans are gifted with uncanny sixth sense yet you frequently lose your way. I cannot blame you though, the vastness of the ocean can be overwhelming. Will you swim upstream or down? Use Pisces Horoscope 2017 as your nautical guide in life, love and career so you will not just drift along with the current or get lost at sea. You have been waiting for a year like this. The universe will open more doors of opportunities in 2017 for you.Your road to success will have less obstacles. The fulfillment of your dreams will be within reach unlike the previous years. According to Pisces Horoscope Predictions 2017, Saturn “The Taskmaster of the Zodiac” will enter your sphere and help you carry out your plans to fruition. Jupiter “The Planet of Good Fortune” will be by your side as well, to turn the odds in your favor. Positive changes are lined up for your career, business, love life and finances. What more can you ask for? !Time for you to step out of the shadows. Take advantage of this planetary alignment and grab every opportunity written under your name. You are one of the most romantic signs in the zodiac. Now with Venus visiting your charts this year, romance and affection will surely escalate. The downside to this, is that lady Pisceans have this tendency to let love take over their lives. While Male counterpart are more capable of balancing their love life and career. 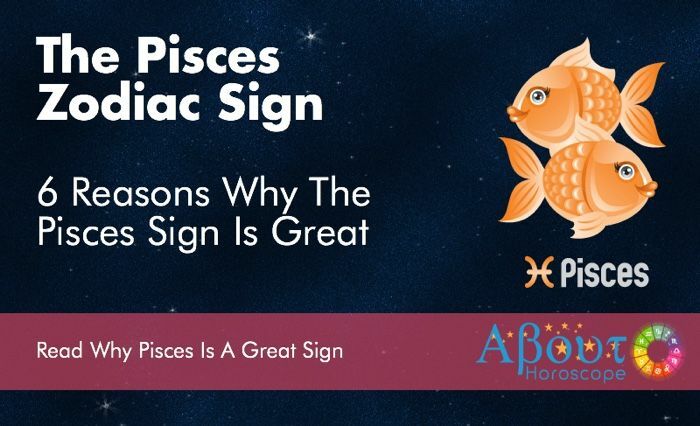 Single Pisceans are best matched with Scorpio, Capricorn, Taurus and Virgo. Relationships kindled with people under these signs will be favorable. Attached Pisceans who are happy with their current relationships might decide to take the plunge this year. While those who feel that they are holding on for the wrong reasons will finally have the courage to let go. New business ventures or deals will come to Pisces entrepreneurs. Do not let the unfavorable events from previous years hold you back. Remember that you were able to survive this far so quitting is out of the question. Believe that 2017 will be a better year! Do not worry, you will be able to expand your network and meet people who will help your business grow. Those who belong to the corporate world will have to face crossroads. Some will start their own business, get better job offers, request for transfer or consider overseas employment. Many positive changes are seen on your chart. Do not get caught in the middle and get left behind. Study all your options before you decide on your new path. Just don’t take too long waiting for the tide to turn. Fish who are still in school, will have to work doubly hard in 2017. Jupiter’s luck will not be enough to land you academic awards. Put in more work and you will earn recognition you have been secretly longing for. Those who are taking up courses in public service, business management, accounting, economics and finance will do really well this year. You will be blessed with abundant energy in 2017. However, you are a sensitive soul and may find it difficult to cope with stress. It is important that you get the right amount of sleep to prevent fatigue. Pisceans have the tendency to drink too much alcohol or when stressed out. Try your best to kick this habit. Get into a new fitness program. Hit the gym when you are tempted to reach for a bottle. Find better ways to relieve stress. Spend time with friends who can make you laugh. Water sports, going to the beach or spa will be relaxing for you. You are a fish after all! Listening to music calms your soul. Yoga is also highly recommended for Pisces. Resolve to have a healthier lifestyle in 2017. Keep in mind that, Pisces rules the feet and toes. Wear comfortable shoes all the time. This year will be filled with good fortune and luck. Thanks to Jupiter entering your sphere, the financial outlook for Pisces is very favorable in 2017. Expect windfalls, raise in salaries and increase in business profits during the second quarter of the year. This is a good year to invest in stocks, real estate and start a new business venture. Money will flow from unexpected sources. You may receive inheritance from a relative or hit the jackpot in your business dealings. Hardworking and enterprising Pisceans will be blessed with the Midas touch this year. Keep in mind that this kind of magic will only work if you put your mind and heart to achieving your goals. Remember to make a sound financial plan to secure your family’s future. January–The year opens with additional responsibilities and more deadlines. Get people to help you out and delegate tasks. Watch your stress levels, as this month will be hectic. February – Advice to love stricken lady Piscean. Remember you have goals to reach. Stay focused or you might miss the chance to advance in your career this year. Hang out with your Capricorn friend and let her get some sense into you. Balance work and love. Remember that your man needs a life outside your relationship too. Get a grip please! March – Work will continue to take up most of your waking hours. Management will test your qualification for promotion. A profitable business deal will come to you. Having your hands full will deplete your energy. Squeeze time to unwind and relax. Remember, alcohol is not a good remedy for stress. April–Social life picks up this month. Some invites you will have to pass up because of work but you won’t be able to turn down family. Quiet dinners with loved ones will help ease your mind. You might meet someone very appealing and interesting at a special occasion like wedding. May – Big things will start to unfold. There will be more clients for business owners, promotions for working Pisceans and earnings will increase this month. Pace at work will slow down midmonth so you will have a chance to travel. There will be harmony at the love front. June – There will be many activities this month involving family, home and friends. Your visitors will help you feel happy and content. This is a great period to renovate or make changes in your home. Attached Pisceans may decide to take their relationships to the next level. Engagement or marriage will be in the offing. July–Single Pisceans will have a lot of opportunities to mingle this month. Do not rush into love. Get to know the other person really well. At the career front, new investors for your business will come. While job seekers will be lucky in their hunt. August – Someone influential will offer assistance or advice on business expansion or residential change. Money and career luck will be good this month. Use part of your earnings to clear your loans. Curb your tendency to overspend. Tempers may flare at home. Tune in to the needs of your family or spouse. Talk things out to settle issues. September–Career continues to be on the upswing. Seniors have been eyeing you and will realize your value to the company. Promotion is well on its way. Expect to move office. Single Pisceans will get serious in love and move from dating to commitment. Be sure that you know what you are getting yourself into. October – Life will smoothly sail this month. Pace at work will slow down for a while. Relationships will be harmonious. Money will come from different avenues. Opt to save and invest rather than spend on things you don’t really need. Stick to your financial plan. November – It will be quite tensed at the office. Do not get involved in office politics. Stay neutral more so if you have just been promoted. Take time off work or go on vacation. You will need some quiet time to reflect on the changes in your life. December – This year will come to a close favorably. You will still be on the grind because of business or work related travels. As your schedule clears midmonth, be sure to gather all the special people in your life to celebrate the season. End the year with a grateful heart and be hopeful for the coming one. The universe will be on your side in 2017. Do not let the fear of failure stop you from turning your dreams in to reality. Resolve to drop your wishy-washy attitude because you are bound to make life changing decisions in 2017. Many Pisceans feel inferior and tend to be too hard on themselves. This year focus on creating a better version of yourself to ensure success in all areas of your life. Drown your insecurities and let them settle at the bottom of the ocean. This could be your breakthrough year. Be ready for the big haul in 2017. It’s yours for the taking. Good luck Pisces!